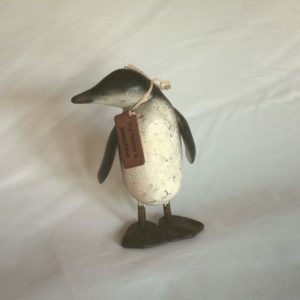 Set of 6, hand carved wooden penguins. Distressed paint finish. 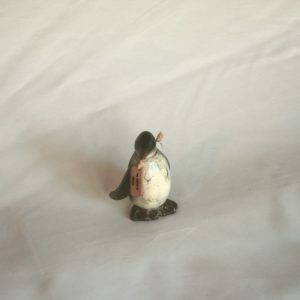 Each Penguin has its own name tag. 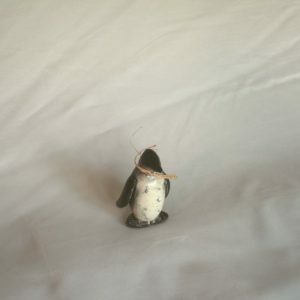 Baby Penguins all looking in different directions! 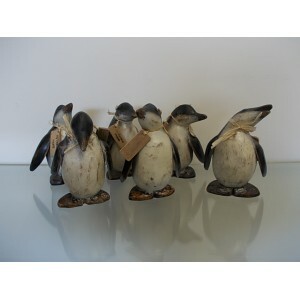 Set of 6, hand carved wooden penguins.